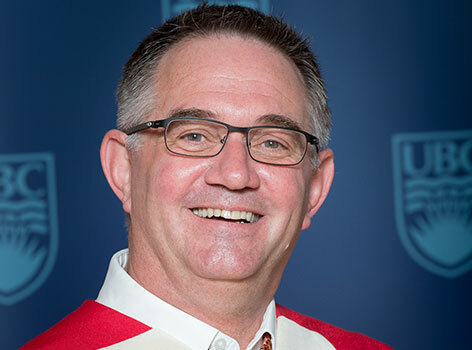 MR. CHANCELLOR, UBC alumnus Hart Hanson has distinguished himself as one of the most accomplished and prolific graduates in the history of the UBC Creative Writing Program. For 25 years he has written and produced hundreds of episodes of well-known serial television dramas, including the award-winning Judging Amy, and Bones, one the most successful series productions in industry history. Mr. Hanson completed his Master of Fine Arts degree at UBC in 1987 and subsequently went to work as a screenwriter of various Canadian dramatic series, including the popular Road to Avonlea and North of Sixty. After his move to California, his influence grew in step with the consistent success of his productions, including the series Stargate SG-1, which was shot in and around Vancouver. With four Gemini Awards to his credit, he is one of today’s most respected names in Hollywood, and his work is well acclaimed by both the industry and the public. A member of the Writers Guild of America and the Writers Guild of Canada, Mr. Hanson lends considerable time working with apprentice screenwriters through the Canadian Film Centre and at various international film and television festivals. I am particularly pleased to say that he has also become increasingly connected to his university and to the Creative Writing program, where he participates in lectures and workshops and engages with UBC students entering the field. Mr. Chancellor, in recognition of his remarkable success and talent, and of his generous service to students of his university, I ask you to confer the degree Doctor of Letters, honoris causa, upon HARTWICK DAVID HANSON.